Library was all outside today–nobody wanted to build duplo-block forts on the rug when the weather was so beautiful. 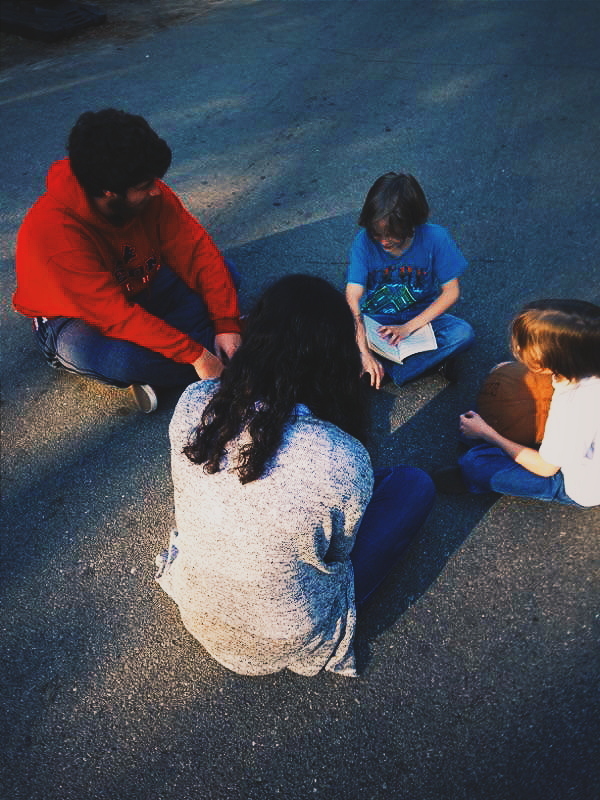 I taped four Shel Silverstein poems to the big white table in the driveway. We read them aloud and figured out what they were about (they were read both right-side up and upside-down by folks on either side of the table–we have some good upside-down readers). 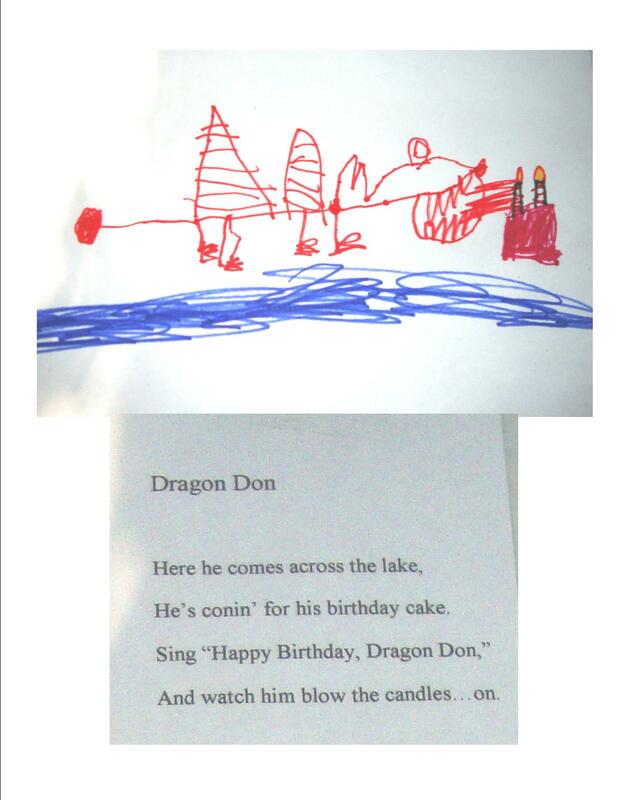 Then everyone made illustrations for the poems. We did “Falling Up”–in our illustration the character falling up hit a bird and quickly fell to the ground again. 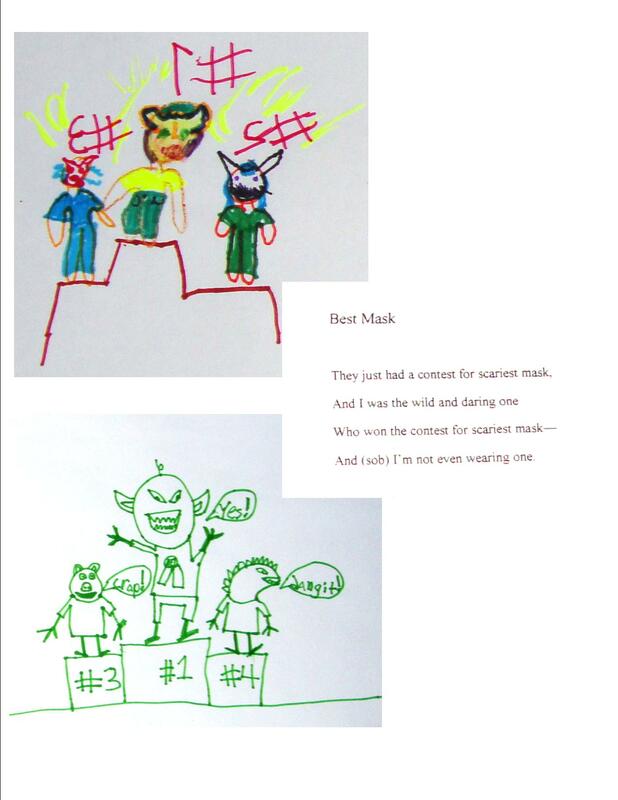 And one about the kid who won the ugliest mask contest but wasn’t wearing one, a dragon who blows his birthday candles on, and a bunch of mountain climbers who climb a mountain that moves and breathes. We did an excellent job, then pulled out Shel’s illustrations for comparison. We compared favorably. We also did several of those three fold hybrid creatures (fold the paper and one person draws the head, another the body, and a third the legs). 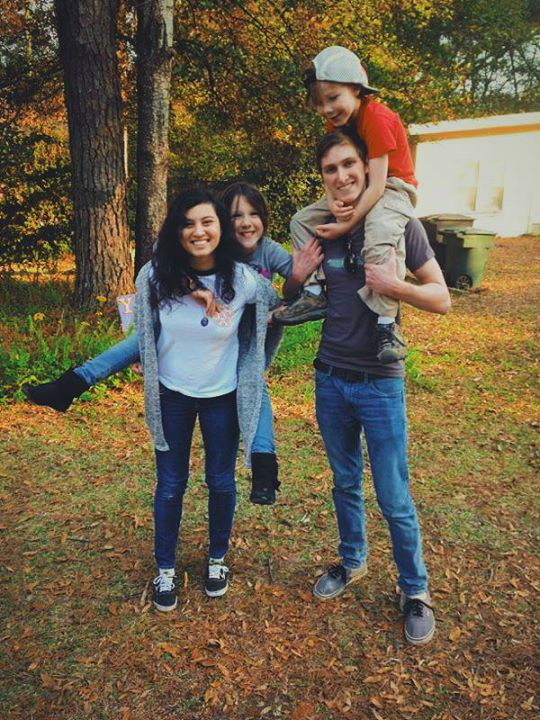 We had some good laughs. 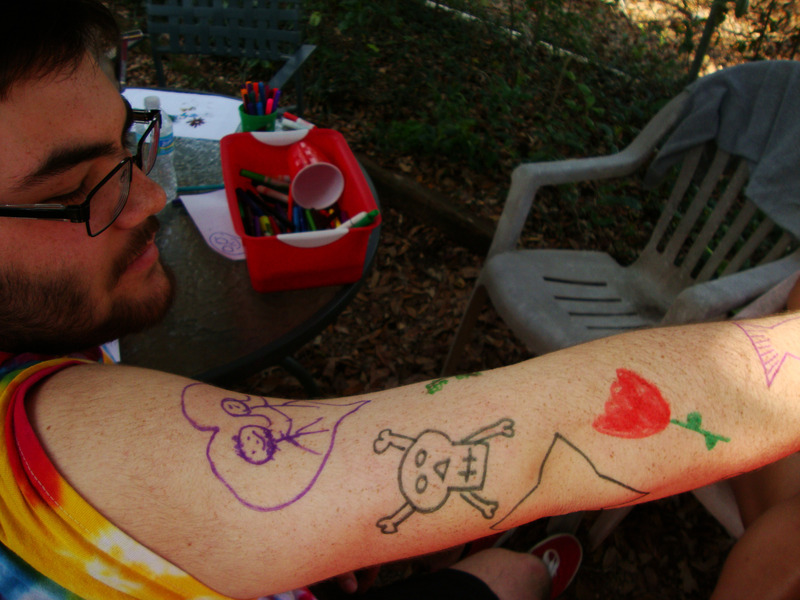 Then our volunteer Michael requested that everyone draw him a tattoo. He went home as The Illustrated Man. We reinflated all the basketballs and restored their bounce. We cataloged and checked out books. A fine day at the FPL!